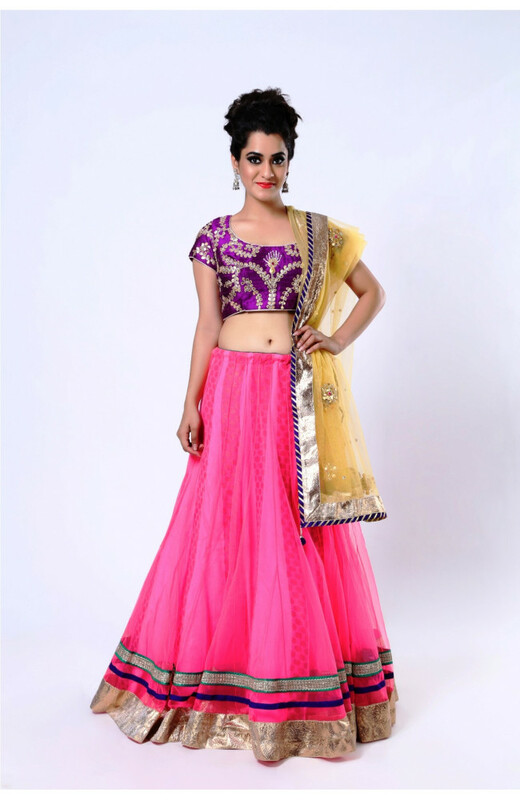 This beautiful lehenga choli is designed to allure women's desire. 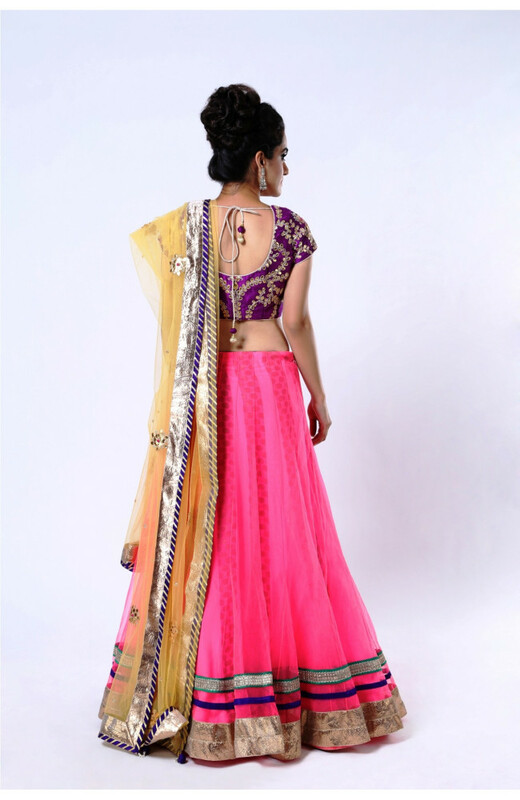 Pink Lehenga Choli is designed with NET fabric, and has Gota work on it. 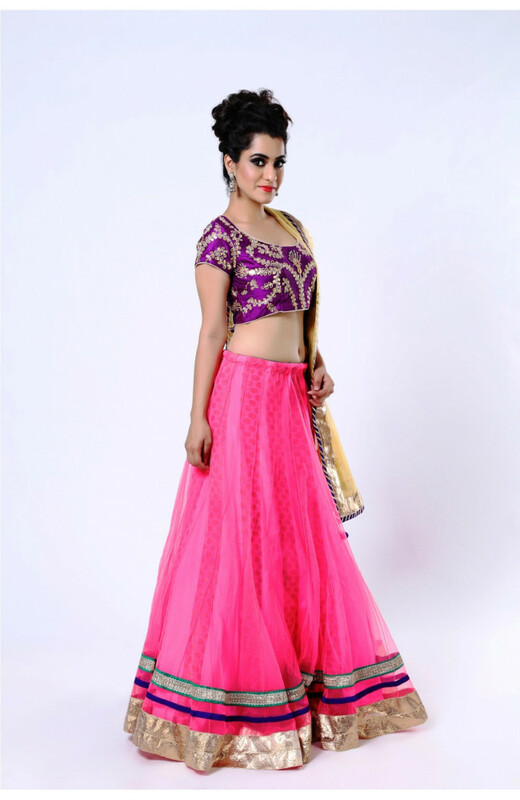 Matching blouse is available in NET fabric, which can be customized according to your size.